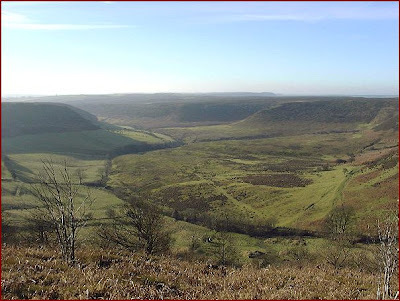 Spent a marvellous weekend in the North York Moors. 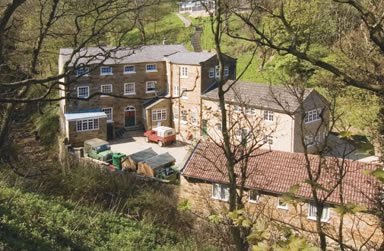 We drove up to Pickering, which was to be our base, and checked into a nice B&B before heading out on to the moors. Over the top we passed the imposing Hole of Horcum, one of several huge natural ampitheatres in the area. Legend has it that it was creaed by a giant scooping the earth up, before throwing it to create a nearby hill. Not perturbed, we headed off for a walk in the remaining light. I can imagine the scene being fantastic during a storm, as the sea walls are high flat concrete and so would encourage waves to crash over them on to the small village itself. We made do with creeping down a slipway towards the advancing waves before screaming like schoolgirls and retreating when the bigger waves washed up towards our feet. 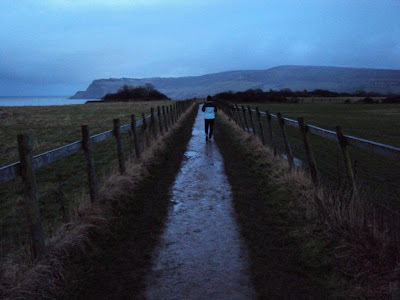 Soon it was dark, as we arrived at the Boggle Hole, where there is a youth hostel, in a fantastic spot. We headed inland from here, unfortunately (I now realise having checked the map) on the wrong side of the Mill Beck stream, passing several signs saying private, no entry, trespassers will be shot. This would not be a good start to our weekend. Boggle is the local word for hobgoblin and it felt like he was at play! The rain started coming down too as if to punish our trespass, but we made it back to town eventually and found a suitable establishment to warm up, the cosy Laurel Inn. We dried our clothes by the fire, and I enjoyed a good pint. 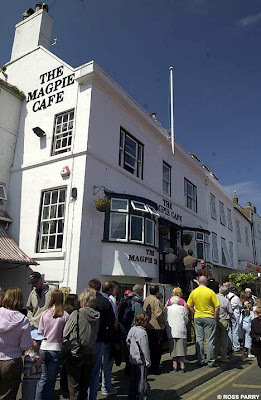 Across to Whitby, the plan was to eat at the famous Magpie Cafe, the home of fish and chips! Not that either of us were particularly in the mood for that local staple, but it offers plenty of alternatives. Anyway, the queue ran out down the steps and along the road, and in such a bitterly cold wind too! We tried several other recommended places, including Greens and Ditto, all booked up, presumably because of Valentine's Day the following day. And so we ended up at the Pakistani Shafiq restaurant, overlooking Whitby harbour. We were hesitant until we opened the door and warm air and a delicious curry smell hit us. Sold, and indeed the food was very good. 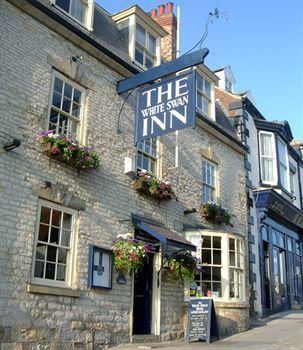 The following day we spent in Pickering itself, and wrapped up with dinner at the White Swan Inn, which is almost 500 years old. It was nice, but slightly over-rated perhaps. Every other restaurant in town was dead though, so at least we had some company as we enjoyed dinner, with scallops and duck. In the morning it was a pretty drive across the Wolds into Hull and work, and far preferable to going the long way round on motorways. 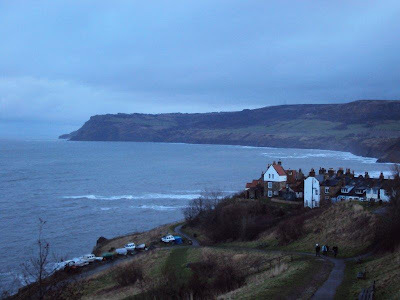 For more information about the area, please click here: http://www.yorkshiremoorsandcoast.com/. 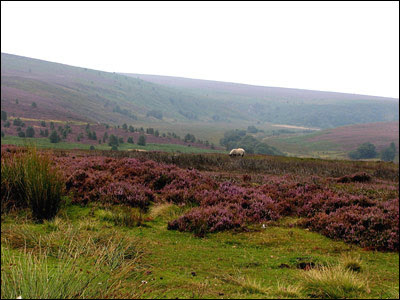 The moors will have to be revisited, particularly in summer when the heather flowers, which is supposed to be very pretty. 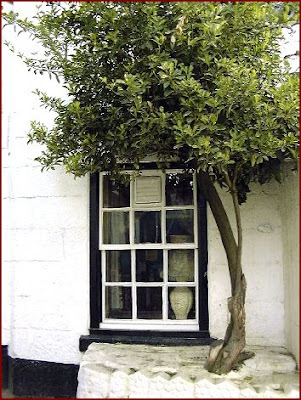 Love your blog, especially your excellent capturing of your jaunts around the UK in photos and text. Looking forward to future entries. I'm running the London Marathon 2011!